SHE PLANNED HER OWN FUNERAL. BUT DID SHE ARRANGE HER MURDER? Buried secrets, murder and a trail of bloody clues lie at the heart of Anthony Horowitz’s page-turning new detective series. 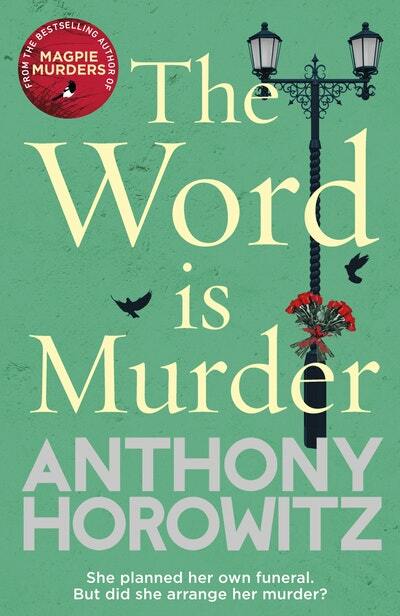 If you enjoyed BBC’s Sherlock, you’ll LOVE The Word is Murder! A woman is strangled six hours after organising her own funeral. Did she know she was going to die? Did she recognise her killer? Buried secrets, murder and a trail of bloody clues lie at the heart of Anthony Horowitz’s page-turning new detective series. 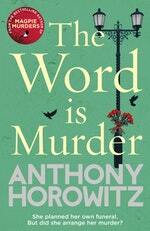 If you enjoyed BBC’s Sherlock, you’ll LOVE The Word is Murder. Just after eleven o’clock on a bright spring morning, the sort of day when the sunshine is almost white and promises a warmth that it doesn’t quite deliver, Diana Cowper crossed the Fulham Road and went into a funeral parlour. She was a short, very businesslike woman: there was a sense of determination in her eyes, her sharply cut hair, the very way she walked. If you saw her coming, your first instinct would be to step aside and let her pass. And yet there was nothing unkind about her. She was in her sixties with a pleasant, round face. She was expensively dressed with a pale raincoat which hung open to reveal a pink jersey and grey skirt. She wore a heavy bead and stone necklace, which might or might not have been expensive, and a number of diamond rings that most certainly were. There were plenty of women like her in the streets of Fulham and South Kensington. She might have been on her way to lunch or to an art gallery. Love The Word Is Murder? Subscribe to Read More to find out about similar books.